Genistein is an isoflavone with oestrogenic activity that is present in a variety of soy products as a constituent of complex mixtures of bioactive compounds, whose matrix profiles play an important role in determining the overall oestrogenic bioactivity of genistein. We review data on how the profile of soy bioactive compounds can modulate genistein-stimulated oestrogen-dependent tumour growth. Our research has focused on the effects of dietary genistein on the growth of oestrogen (E)-dependent mammary tumours both in vitro and in vivo. Genistein enhances the proliferation of E-dependent human breast cancer tumour growth. In a similar manner, dietary genistein stimulates tumour growth in the chemically-induced (NMU) mammary cancer rodent model. Genistin, the glycoside of genistein, simulates growth similar to that of genistein and withdrawal of either genistein or genistin results in tumour regression. The extent of soy processing modulates the effects of dietary genistein in vivo as soy protein isolate, a highly purified and widely used source of protein that is processed to contain low, medium, and high amounts of isoflavones, stimulate the growth of the E-dependent mammary tumours in a dose dependent manner. In contrast to the more purified diets, studies with soy flour of equivalent genistein levels did not stimulate the growth of E-dependent breast cancer tumours in vivo. However, the size of these tumours also did not regress as is observed in control groups in which oestrogen and genistein have been withdrawn. The expression of the oestrogen-target genes of pS2, progesterone receptor, and cyclin D1 correlates with the growth of E-dependent tumours and has been consistently observed to be induced in response to treatment with dietary genistein. 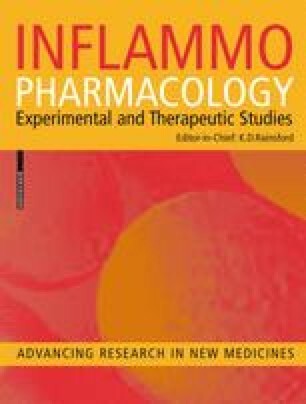 To evaluate whether dietary genistein interacts with current anti-oestrogen breast cancer therapies such as tamoxifen (TAM), we implanted E-dependent tumours into ovariectomized athymic mice and administered oestradiol, oestradiol plus TAM, or oestradiol, TAM, and dietary genistein. In these studies dietary genistein was able to negate the inhibitory effect of TAM on E-stimulated tumour growth. In summary, genistein can act as an oestrogen agonist resulting in proliferation of E-dependent human breast cancer tumours in vivo and its activity can be modulated by the presence of other bioactive components in complex soy foods. Additionally, dietary genistein can negate the inhibitory effects of TAM on E-stimulated growth of MCF-7 cell tumours implanted into ovariectomized athymic mice.